Fabulous February Contest & Giveaway - Win $500 in Prizes! We talked about them and now you can win them! We’re giving away $500 in prizes to 3 lucky winners. Enter our contest today to win these fabulous prizes! Slimmer Silhouette Slimmer Body Wrap, $250. Vivitar ViviCam 8027 digital camera, $99.99. Hourglass Cosmetics Prodigy lip gloss, $26. 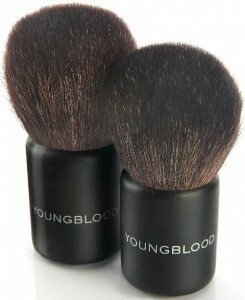 Youngblood Kabuki makeup brushes, $37 for large, $34 for small. 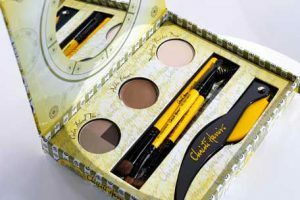 Christi Harris Brow Planing System, $59. -Contest ends Friday, March 5, 2010 at 12pm EST / 9pm PST. Winners will be notified by email and/or phone on Monday, March 8, 2010. If contest winners do not provide a valid mailing address by the specified time, another winner will be chosen. great looking camera mine wore out taking pictures of the grand children I would like to take more photos but I cant afford a new camera? Would LOVE to win this, goodluck everyone! That’s a great list of prizes, would love to win the camera. 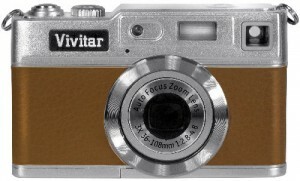 I love the retro-look Vivitar camera – great prize! Awesome prizes. Would love to win. Thanks. What a wonderful contest. Thanks so much for offering it. I am a lip gloss nut, so trying out new brands is so much fun! The rest of the wonderful prizes is like iceing on the cake! Great prizes! I hope to win the makeup. My daughter keeps taking mine. What fabulous prizes you are offering! Thanks for hosting this incredible giveaway!!! Such a fantastic offer. THANK YOU!!! I entered the contest. Would be great to win! Thanks for the opportunity. Great contest, love the camera! Could always use makeup. Looks like great stuff. Each prize is unique and wonderful and I’d be happy with any one of them…thanks for the great giveaway. each item a piece of the puzzle to create or help create an amazing fashion spread. Wow! This is an amazing prize package! I could put all items to good use. Those makeup brushes look heavenly! Thanks! That little Vivitar is the sweetest camera I’ve ever seen! These all look like excellent prizes. Thank you for having a good giveaway. Nice prizes! I would love any of these :) Thanks for offering this giveaway! Thanks for the giveaway. The camera and the lip gloss would be my picks! But all of the prizes would be used by me! It’s a great day for winning! What a fabulous array of prizes! I can hear the birds starting to chirp and sing outside and I have such optimism for the Spring and what’s to come! What a perfect way to kick off the Spring Season than with some amazing prizes to keep me in shape and look beautiful! I love taking photographs, documenting life as I know it is one of my passions in life, so having a brand new camera to take the best possible images would be a dream come true because I need a new camera!! Thanks so much for the chance to enter and I did fill out the form too! Thanx for these great items as a giveaway! I LOVE LOVE LOVE that camera. reminds me of my first camera as a kid. Awesome! I like that camera……….a lot. I filled out the entry form. Thanks for the giveaway. What a super prize. Thanks SO MUCH! I could use the camera! I would love to win this contest. Our camera has seen better days!